For more NFL Free Agency coverage, check out and subscribe to the NFL Daily Podcast or download the Chat Sports app for iPhone or Android to follow NFL news, rumors, and scores. 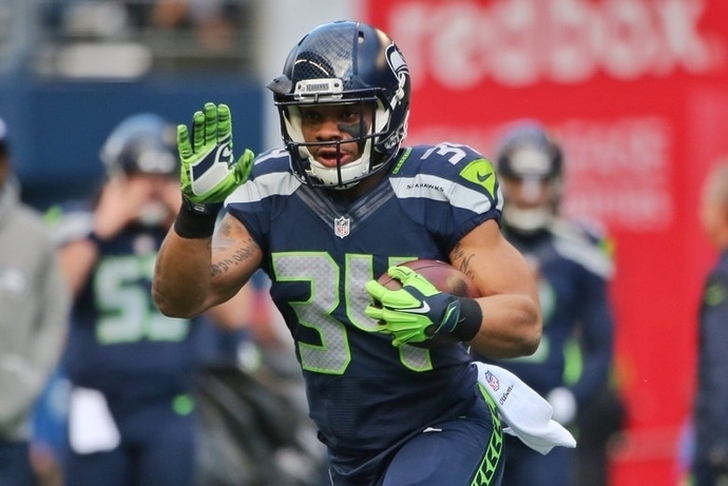 Thomas Rawls to Kansas City? Former Seattle Seahawks running back Thomas Rawls wasn't tendered an offer as a restricted free agent by Seattle earlier this week. According to NFL's Ian Rapoport, Rawls is visiting the Kansas City Chiefs Friday. Since coming onto the NFL scene as a rookie, Rawls has struggled with injuries and production. Rapoport writes he is trying to recapture what he had as a rookie. This is going to be difficult since the Chiefs have running back Kareem Hunt who led the NFL in rushing as a rookie with 1,327. It's still unclear if the 24-year-old running back will head to Kansas City, but even if he does he will have to compete with running back Spencer Ware and Hunt for touches. Battles I'm not sure he has a chance to win. Byron Maxwell re-signing in Seattle? Ian Rapoport reports the Seahawks are "in talks" to re-sign free agent cornerback Byron Maxwell. Maxwell hasn't drawn interest in free agency thus far. He is now 30 years-old after spending the second half of the 2017 season with Seattle after he was released by the Miami Dolphins in October. Maxwell was decent in Seattle racking up 46 tackles and one interception in nine games. Maxwell is returning to Seattle is still unknown, but it wouldn't be too surprising if the Seahawks re-sign him. Dominique Rodgers-Cromartie won't sign until April? Dominique Rodgers-Cromartie was released by the New York Giants this past week and quickly visited the Washington Redskins, but he didn't like the offer they presented. ESPN's Josina Anderson reports DRC informed her he doesn't plan to sign with a team until "April sometime." There have been some big named corners who have been signed like Malcolm Butler and Trumaine Johnson, which may make the asking price for DRC rise. The 32-year-old is coming off a season where he totaled 48 tackles and 0.5 sacks.